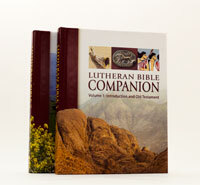 The LBC, a two-volume set, covers every canonical book of the Bible, including the Apocrypha. This selection is from the “The Books of Prophets,” a section examining the Bible’s understanding of prophecy along with the classic critical views. How were true and false prophecy distinguished? The truth question arises almost everywhere in Scripture where the topic of prophecy appears. If we remember, however, that the Bible’s own definition of prophecy is a theological one, we will not be surprised to discover that the criterion of truth is also primarily a matter of revelation and faith. There may have been some external touchstones. Sometimes we hear that the false prophets sought bribes (cf Mi 3:5), but there is no indication that such was a characteristic of all. Many indications, however, that the false prophets tended to prophesy what their audiences wanted to hear is probably closer to the mark. The Micaiah story (1Ki 22) is a good example, as is Jeremiah’s repeated complaint about his opposition, who proclaimed “peace, peace, when there is no peace” (6:14). Conversely, Jeremiah describes “war, famine, and pestilence” (28:8; cf 34:17) as characteristic of the tradition of true prophecy, and the scroll that Ezekiel is to eat has written on it “words of lamentation and mourning and woe” (2:10). In part such passages induced classical critics to set up preaching of judgment as a nearly infallible sign of genuine prophecy and cut out most other passages as additions from later times. That there was some truth in the observation that judgment was essential to the prophets’ message is beyond denying, but it would be lovely, indeed, if matters were that simple! The great number of judgment oracles in the preexilic prophets corresponds to the great needs of the hour. However, in their very preaching of judgment, the preexilic prophets looked forward also to God’s coming work of redemption. And when the circumstances change after the judgment (cf Is 40–55), the prophets themselves are quick to change the dominant note of their preaching to hope and promise. The same explanation is undoubtedly to be given for the many positive and promissory oracles that are interspersed throughout the books of the preexilic prophets. The two most important criteria for distinguishing true and false prophecy are found in two important passages in Deuteronomy. Not surprisingly, the criteria are theological. The first of these passages, Dt 13:1–5, describes what may unhesitatingly be called a doctrinal or confessional criterion. The test is in what the prophet teaches and preaches, whether or not it harmonizes with the rest of revelation. 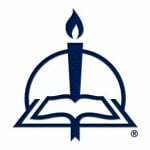 The rest of Deuteronomy, of course, is one of our major sources for spelling out the major articles of that doctrinal or confessional standard. Jeremiah’s running battles with the false prophets of his day are good collateral reading, perhaps especially ch 23. The second passage, Dt 18:21–22, sets forth as a standard the fulfillment or nonfulfillment of prophecy. Here “prophecy” is used in a sense largely for “prediction” or “foretelling.” This passage of Deuteronomy is not alone in its stress on fulfillment of prediction as a major touchstone. The idea of predictive prophecy so suffuses biblical literature that it almost seems redundant to cite further examples. Perhaps we need note only the prominence of the apologetic argument from fulfillment of prophecy in Is 40–66, or quote the familiar refrain of Ezekiel: “When this comes . . . then they will know that a prophet has been among them” (33:33). In fact, the prophets were honored (and their writings received into the canon) after the exile—as they emphatically often had not been before—precisely because their predictions of destruction and captivity had proved utterly true. Very often prophecies are explicitly introduced by an “if” clause (cf Is 1:19–20). In accordance with the ancient covenant formula (cf Dt 27), whether blessing or cursing would come depended on the response (not, of course, in the sense of meriting God’s favor, but in the sense of being able to thwart it by unfaithfulness). If the people repented, God might relent and a prophecy of doom be suspended or revoked. If they rebelled, a prophecy of salvation might be set aside until God had, as it were, raised up children to Abraham from the stones (Mt 3:9). God illustrates this principle to Jeremiah through a potter’s shaping of a vessel (ch 18), and it was one of the lessons God had to teach the pouting Jonah. Typically with long-range prediction, the entire future stands before the prophet’s eye, and the various periods or stages of fulfillment are not distinguished (cf even in the New Testament the telescoping of prophecies of the destruction of Jerusalem and of the end of the world, so that the separate events are described side by side). In a very real sense, the problem of discerning true prophecy in Bible times must have been very similar to the one confronting believers today. From Lutheran Bible Companion, volume 1, pages 705–7. Text © 2014 Concordia Publishing House. All rights reserved.